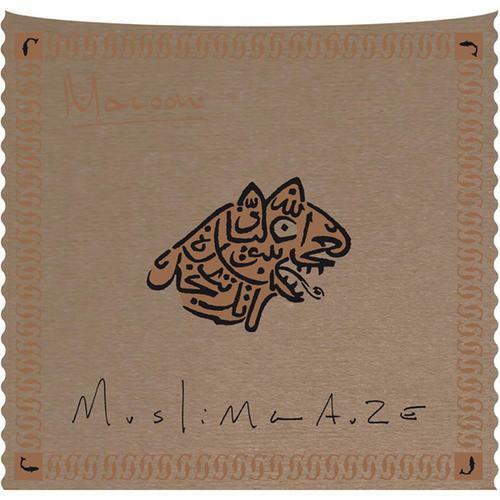 "Separated from both its reputation and its sleeve art, the music of Muslimgauze explores the relationship of visual sensations - space, colour, depth, illusion - to the listening experience. The music on 'Maroon' is dub-like inspired techno music, laid back with voices appearing randomly in the mix. The thick drums and rich found sounds that densely populate the soundscapes on Maroon give materiality to the warm presence of the synth washes. The music is so layered and textured that it ceases to be aural and exists almost solely in the realm of sight and touch. 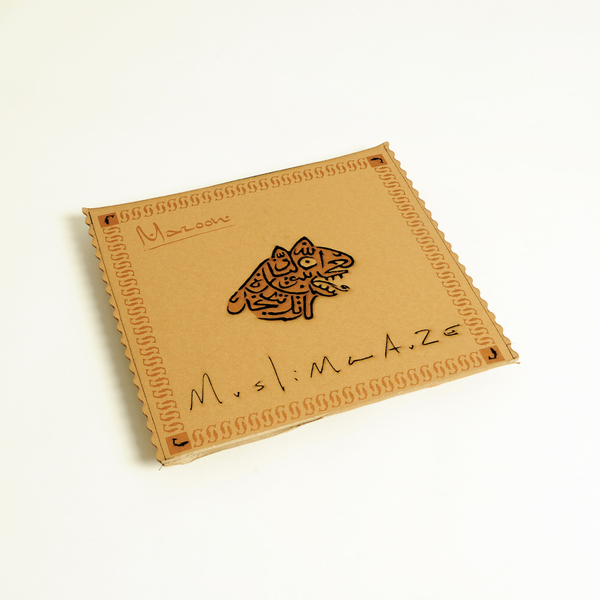 Devoid of reference to any external reality, Muslimgauze's Ambience gets remoulded by subjective experience and moved around in the memory. By shifting the quality of perception with the producer's sleight of hand, Bryn Jones (the Mancunian behind Muslimgauze) makes explicit the interiority of the senses. Thus, the fact that our inner life determines our relationship to the world outside becomes the music's unspoken subject. Divorcing Muslimgauze's music from its image is like listening to Take That without seeing Robbie's pelvis or Mark's pouting. This is precisely why the music is so effective. Relocating music's power within the listener instead of as an external force acting upon the listener forces reappraisal and reinterpretation. The muezzin's wailing call to prayer and the shrieks of women mourning the dead conjure up images of a fierce 'death-to-the-infidels' fervour in the Western imagination, and are recast as holy prayers for the ultimate, womb-like peace that most Ambient music aims to express. The usually easy exoticism of sampled tablas and ouds instead hint at the dread on the road to the water coloured bliss of run-of-the-mill Ambient and force the listener to internalise difference and confront the received images of Islam that Muslimgauze detour by such strong powers of suggestion." Extremely limited quantities. 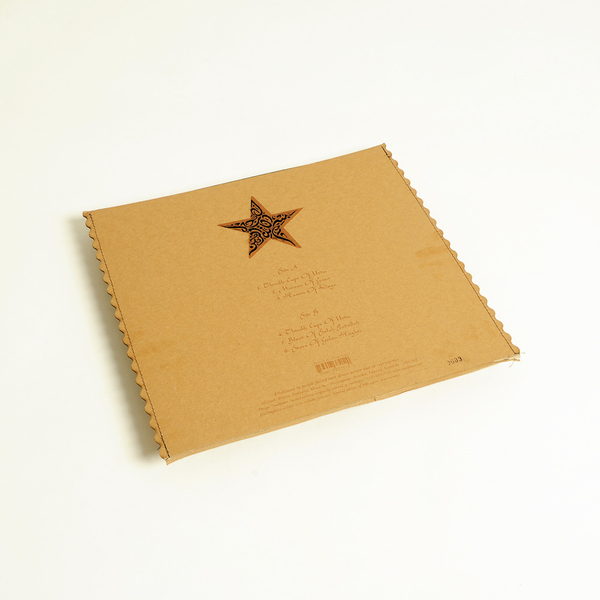 Housed in hand-printed, laser-cut and sewed card sleeve.